Border Rugby Union has turned the corner in all the areas that have been identified as cause for concern. Monde Tabata Border Administrator; announced in the media briefing today at the Buffalo City Stadium. He said; “After he had been assigned by SARU and Border Executives to stabilise the situation at the Union, he is happy to inform the rugby community and other stakeholders that the problems with the creditors and the financial cruch have been resolved.” He further announced that the SARU Finance Administration department has assumed the oversight role in the finance management. “Most debts have been settled and I am working hard towards ensuring that all major debts where servicing schedule had been agreed, are also cleared.” He also managed to facilitate the exit of the equity partner Russet Trading. In 2014, Border was able to meet all SARU obligations of fielding Border representative teams in all sponsored and sanctioned tournaments, such as Vodacom Cup, Under 19 and 21 as well as the Currie Cup fixtures. He disclosed his satisfaction regarding the Vodacom Cup preparation, saying “the team had preparations equivalent to that of any provincial team in the country”. The team started on time with the off-season and pre-season training. Players were contracted on time. The conditioning and nutrition of players has be taken care of by the professional conditioning coach. There also has been a change in the coaching staff. Elliot Fana And David Dobela were announced as the new Co-Coaches for the season. Monde Tabata indicated that both coaches have vast experience local and national, having worked for various Unions. Denzil van Heerden has been retained as the Conditioning coach, with Chumani Booi serving again as an Assistant coach. Border has also established a relationship with the SARU high performance centre led by Rassie Erasmas. Jaques Nienaber will be visiting the Border Rugby Union to provide assistance to the coaches. 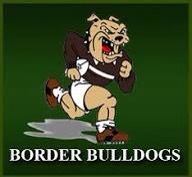 Border Technical Analyst has been sent for training at the SARU high performance in Cape Town to be acquainted with the latest technology to assist Border in order to increase the competitive ability of the Bulldogs in 2015. Border Rugby will also focus on recruiting and training of referees. There is a national outcry with regards to the shortage of match officials in the country. Sindile Mayende has been appointed to ensure that we have a substantial number of qualified and fit referees. This is because Border is the largest rugby playing region in the country. Monde indicated that his job as an administrator has been made easier by the Border Executives and staff members, who have been cooperative in the transition.